Includes 12x12inch double-sided insert, with credits and additional artwork. Aaahhh, this album kick-started my journey into acid house, techno and beyond. Before I heard this album I was strictly into teutonic industrial beats and goth rock!! Ha ha! This album has got fantastic sounds and atmospherics. I still listen to this album today, probably far too often to be considered healthy, and it instantly transports me back to the late eighties. Despite being a product of its time, 'Fordtrax' hasn't dated badly at all. Highly recommended if you can find a copy. 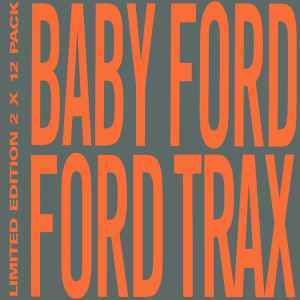 For the record, my fave tracks are 'Fordtrax' and 'My Innersence'. These are fantastic intense acid tunes that go from the dark madness of Oochy Koochy and Chikki Chikki Ahh Ahh to the heady, nostalgic bounce of Ford Trax. Top quality classic British acid house.